When you are in the market for Worcester commercial storage, it has to be clean, secure, well-maintained and easily accessible. After all, your goal in putting your company property into storage is to put it outof your mind—not to introduce new headaches or unexpected expenses. For local storage facilities that are as safe and reliable as they are convenient, look no further than Liberty Movers! As Worcester’s oldest and largest moving company, we’ve been in the relocation and storage industry since 1920, so you can have complete confidence in our ability to keep your commercial goods clean, well-organized, and safe. No matter how short or long of a storage term you need, we have flexible, cost-effective plans to fit any company budget. Warehousing and Distribution: Let us ease the burden of managing your business by taking care of inventory, storage, and final distribution. Local Deliveries: We’ve been active in the central Massachusetts area for nearly a century, so we know how to benefit your bottom line by making quick and cost-effective local deliveries. 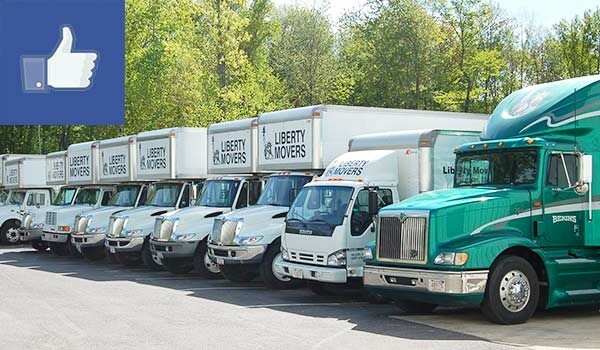 When it comes to commercial storage, two of the most important and helpful features are high security and up-to-date inventories—and Liberty Movers is proud to offer both. For more information about our Worcester storage solutions, call us today! You can also begin with a free business storage cost estimate by taking just a minute to submit our simple online form now.